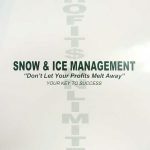 We Make it Simple! These spreadsheets will help you calculate your cost per hour of operation, for ANY service that you offer in a quick and efficient manner. 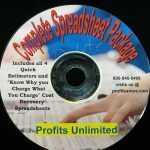 You can save a copy of the completed spreadsheets right on your computer for future use. 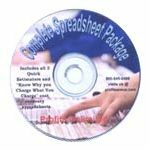 Whether you are renting, leasing or own your equipment these spreadsheets will work for you. 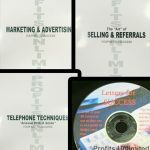 You will NEVER under sale your services again. 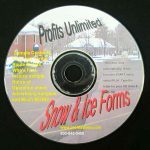 After completing these spreadsheets, you can evaluate your total customer base for profitability. 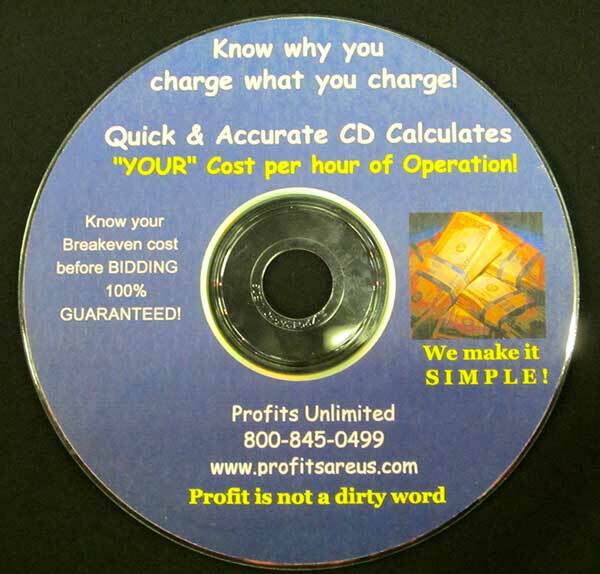 If maximizing your profitability is important to you, this CD is the answer to knowing why you charge what you charge. 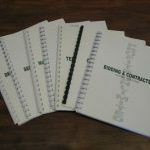 It is becoming more and more common in this industry for contractors to charge based on the perception of cost and not the reality of what the market must bear. Thus, the failure rates are escalading every year. 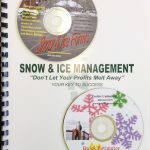 In order to earn what you deserve, you must first understand how to accurately calculate your cost per hour of operation. 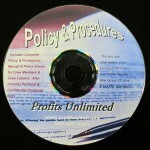 This CD MAKES IT SIMPLE! 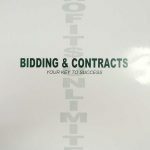 Our Bidding and Contracts manual is highly suggested with this CD.